ATT came and replaced our router to a higher plan and we lost our ability to use synergy between host and client. Host server is newer machine, client is older XP. 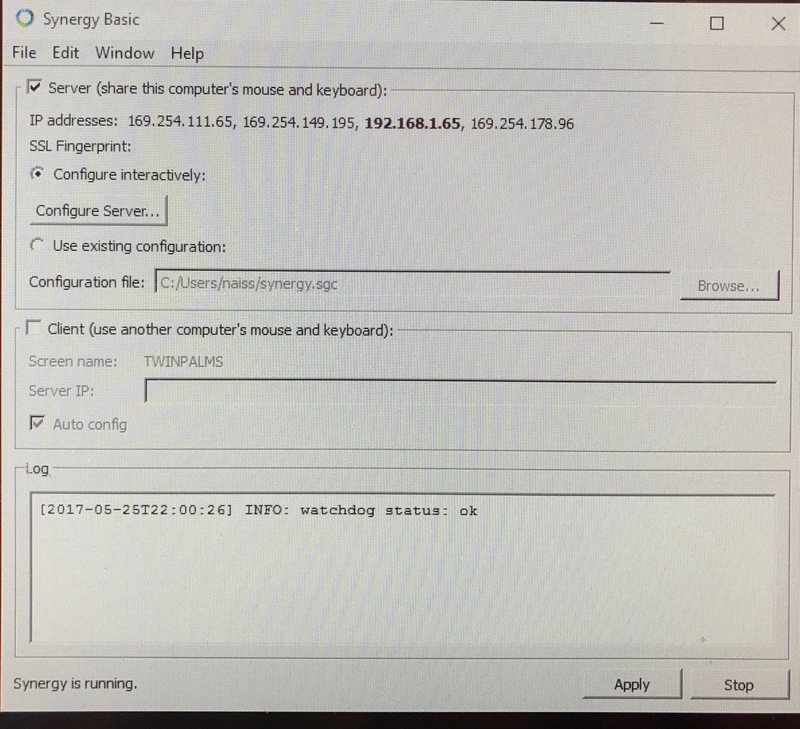 Both see the internet out but client can't see server. Our wifi network name and passwords changed with new router/modem from ATT. Was able to change that on new machine but can't really see how on the old XP machine although it does see out to the internet. I tried ipconfig/release and renew but it grabbed the same IP. Within synergy, the setups are showing and looking for the correct ip addresses just wont connect. Any ideas of what may have happened? thanks. Hi @twillrick. Can you post a screenshot of both machine's Synergy interface? both were just updated with ver 1.8.8. Halfway through the day, it started working on its own. Now it's not connecting again. May i email you directly for photos since my ip address is shown in them? thank you very much. It's very needed every day. Those are private IP addresses (192.168.x.x) I assume. So that won't be a problem if you post it here. currently not workin g, it tried all night. 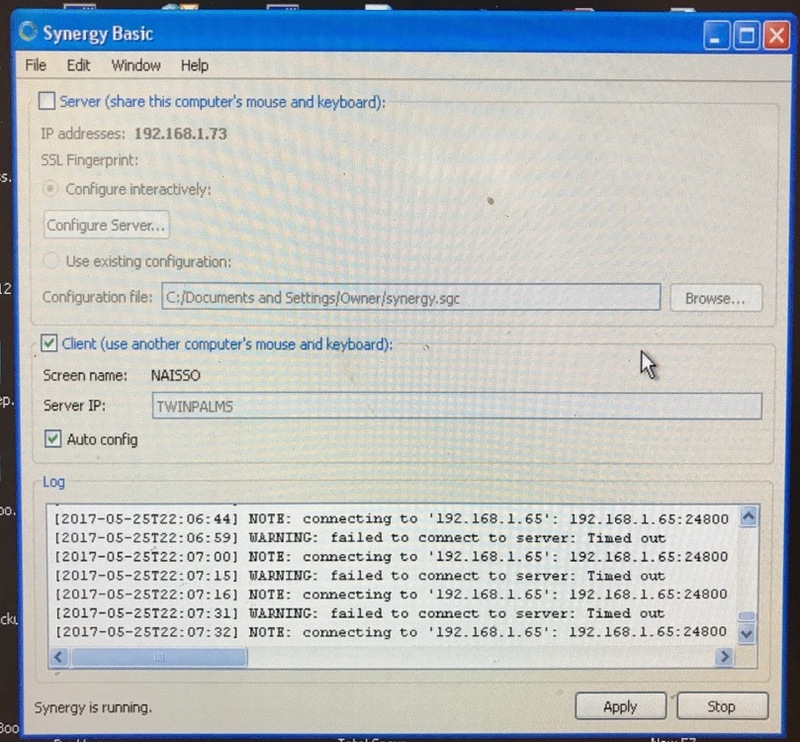 Try to uncheck the Auto config box on the client machine and manually input 192.168.1.65 in the Server IP box.